We’ve been busy building new features for you. Here is an update of what we did last month. 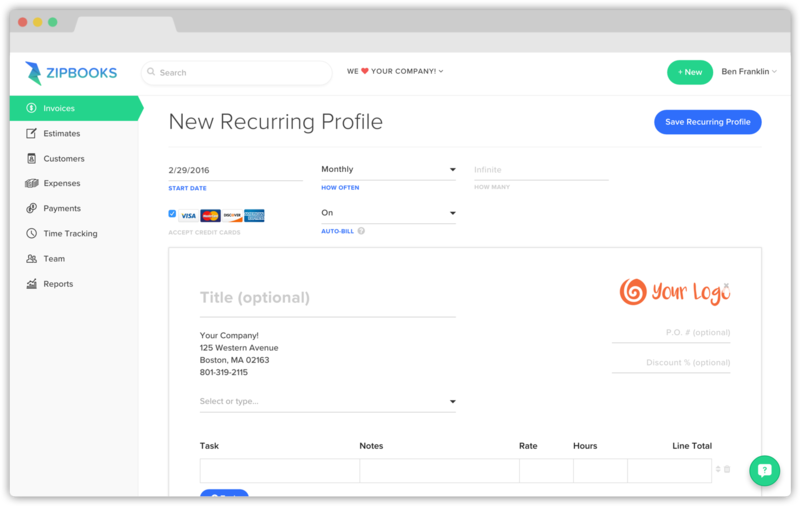 Since building recurring invoicing, we’ve been getting lots of requests to add credit card autobilling. Inside recurring profiles, you will see a new field called “Auto-Bill” that toggles off and on. We are happy to report that this works whether you’re using our WePay or Stripe integration. Since adding autobilling means more payments are going through our system, we needed to do a better job of providing clients with proof of payment. Any time your customers make a credit card payment, ZipBooks will automatically send them a receipt. 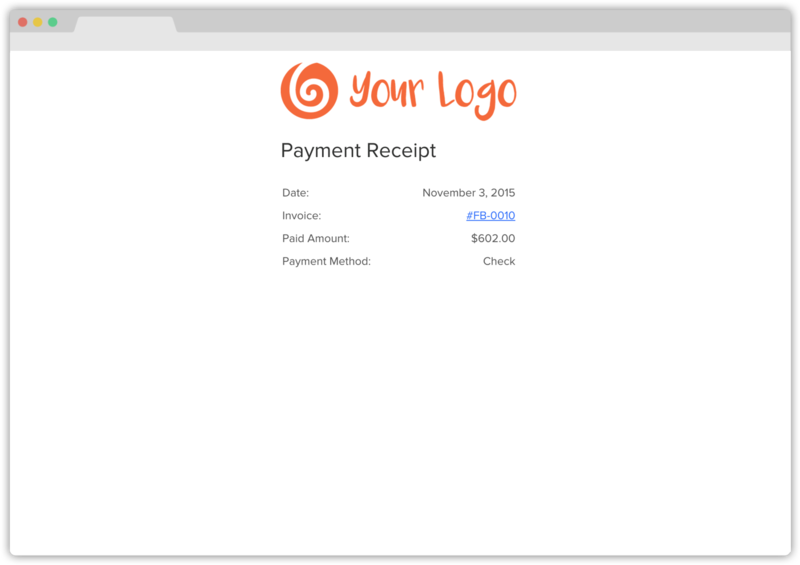 You can also have the option of sending a receipt when adding a manual payment. There are no settings to change; it just works! Our Safari extension was just published, and we upgraded our Chrome extension to work with Asana. This is just another example of our community helping us understand what they need to run a successful business. Step 1: Fill out the invoice as you normally would. 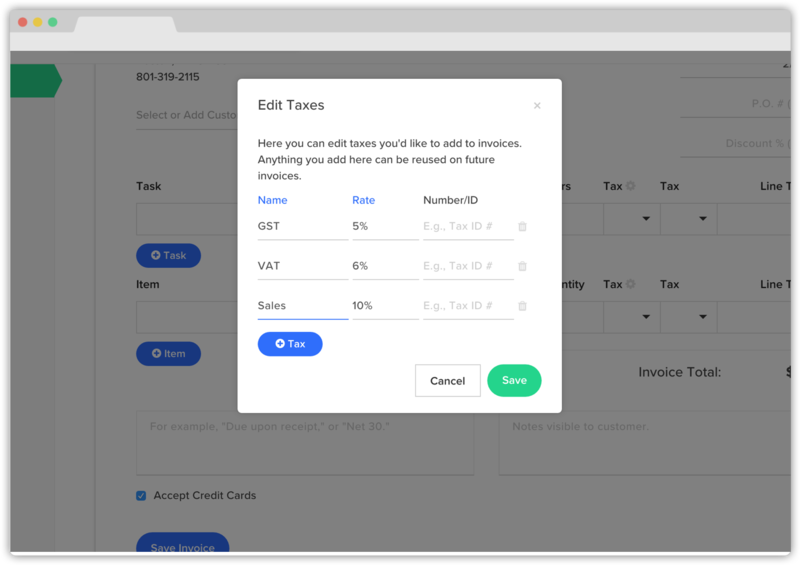 Step 2: For each item select an existing tax option, or create a new one. 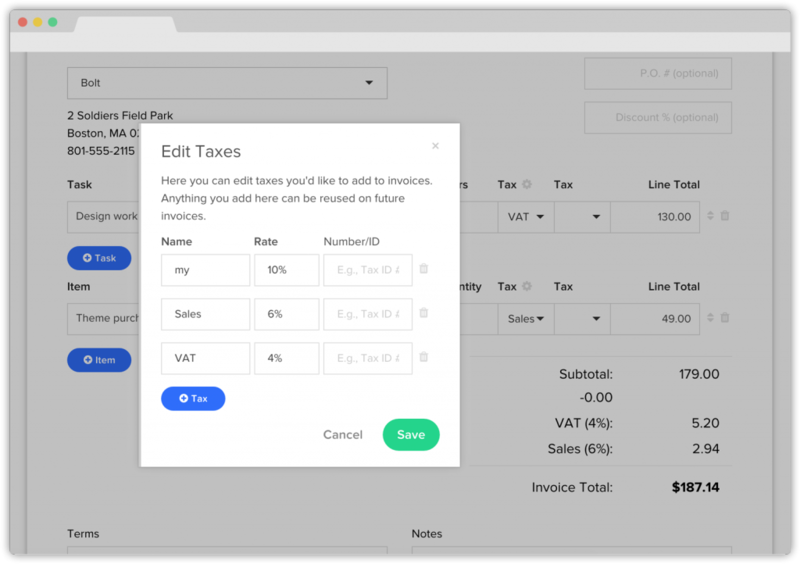 Step 3: ZipBooks crunches the numbers and adds the tax to the invoice.